As great wine can only be made from great grapes, we searched for two years to find the perfect place for our vineyard. We found our ideal site in Matakana – a steep north-facing slope of free-draining, iron-rich volcanic clay, sheltered by the Rodney Ranges to the west and warmed by the nearby Pacific Ocean to the east. 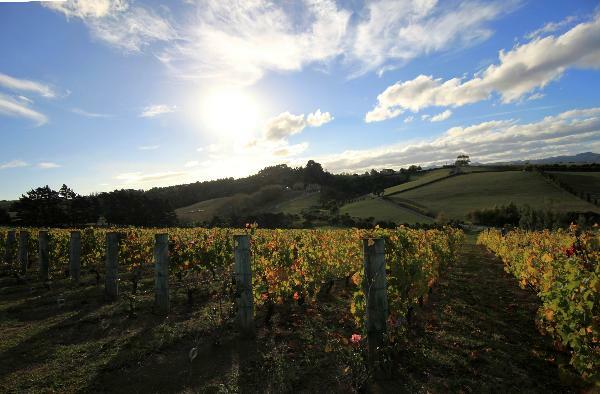 Two-thirds of the vineyard is planted in Cabernet Franc, which thrives in Matakana, producing a wine of great character. The vineyard currently covers 1.5 acres – “small enough that I know every vine,” winemaker Toby Gillman says. “Practically everything is done by hand."